Christmas is a month away and preparations should be well underway. A hallmark of Christmas décor is the Christmas tree – so we’ve listed a few places where you can get (real, plastic or wood) trees to kick off the festive spirit in your home. If a plastic Christmas tree just doesn’t cut it anymore and you want your living room to look festive, indulge in a proper tree. Floristika is offering an early bird promotion from now till 30 November on imported live Christmas trees. Trees will be available in the following sizes: 4/5ft, 5/6ft, 6/7ft, 7/8ft and 9/10ft (which sell out very fast, so do check). Order online or visit either of their two stores. There’s nothing like scent of pine in your home so order now and the trees are estimated to arrive by the end of November. 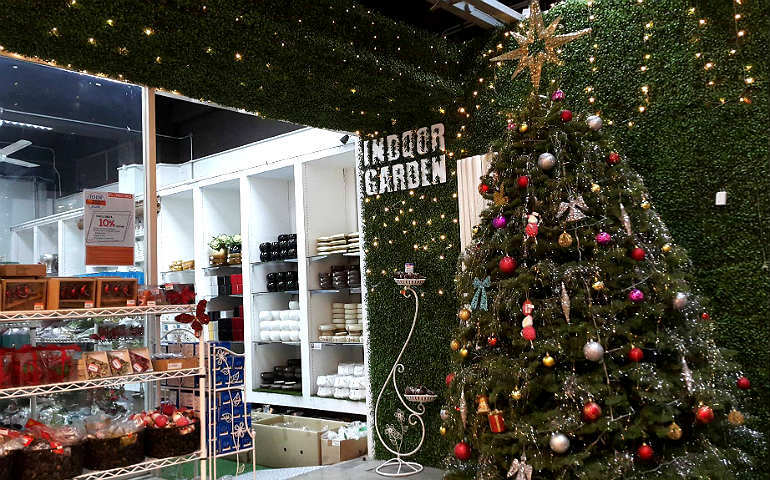 The go-to furniture store for everything from bedding to kitchenware is also where you’ll find a good selection of artificial Christmas trees, wreaths, potted plants and garlands. Trees come in various sizes including cute potted ones you can put on your desk. There’s also a handy Christmas tree mat and décor galore. IKEA Malaysia now offers online shopping, making it so much easier to get Christmas going at home. What’s reusable and not plastic? 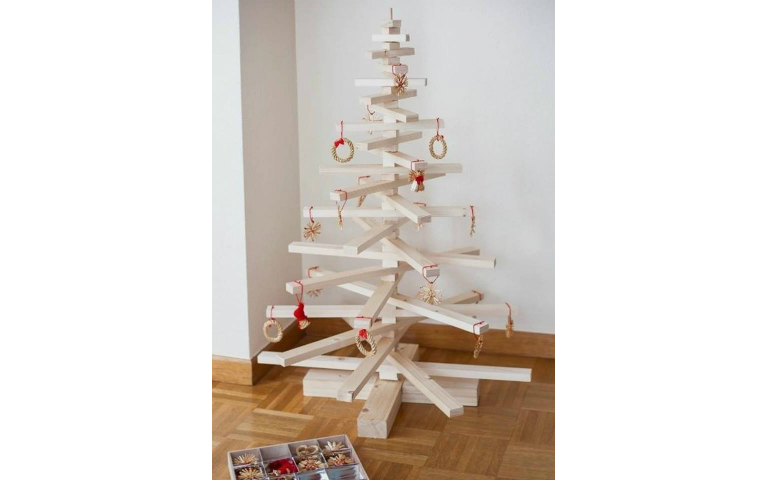 A wooden Christmas tree from Joe’s Wood Work – and the best part is that these trees are made from reclaimed wood, which means your tree will be unique and eco-friendly! Some are made with stacked plants to mimic tree boughs of a tree, and others are in the shape of Christmas tree with shelves and hooks for décor. These wooden renditions look amazing and will show your décor off to full effect. Check out their FB page and order now to be ready in time. Instead of buying the Christmas tree and the strings of multicoloured LED lights, get a tree that comes with its own lighting! Spotlight sells artificial trees with fibre optic strands within the branches, and pre-lit LED trees to save you the hassle of getting tangled in Christmas lights. There are also regular artificial trees in various sizes and great festive fabric to make your own gift bags. We’re not talking about the main Petaling Street crossroads with the handbags, watches and street food; instead, take a walk along Jalan Sultan nearby, where you’ll find a few shops specialising in festive decorations. Nan Thong has artificial Christmas trees that range from six to eight feet; prices vary according to height and quality. The selection of Christmas decorations at these stores is equally extensive and inexpensive, and as soon as this festive season is over, return for your Chinese New Year baubles! The beauty of online shopping is that you can browse through many different stores without ever having to set foot in one – which is especially helpful when it comes to shopping for a Christmas tree. A quick search on Lazada for Christmas trees turns up artificial trees at great discounts, some of which even come with free decorations. Look at the seller ratings and reviews – if any – to ensure that you’re getting a good tree. Flower Chimp is known for their gift hampers and occasion-based bouquets. For Christmas they have brought in live Noble Fir pines in various sizes - 4/5ft, 5/6ft, 6/7ft and 7/8ft – with the option getting a package that includes tree decorations. Prices start at RM799 with free delivery around the Klang Valley. Oncor is one of the world's oldest artificial Christmas tree manufacturers. This year, go green with Oncor’s eco-friendly Christmas trees made of 100% recycled PVC plastic, which can be reused for more than 30 years. There are 58 types to choose from varying in height from 3ft to 12ft. If you want something other than the usual green, Oncor has an Arctic tree that looks like it’s dusted in snow. Delivery is free to all addresses in Malaysia.